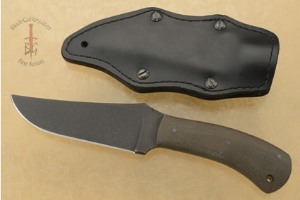 This knife is very similar to the standard issue model Daniel Winkler is currently providing to active duty operators within the Naval Special Warfare Unit. 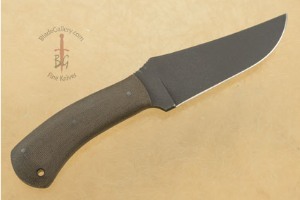 The blade is formed from 3/16" 80CrV2 carbon steel with a non-glare Caswell finish. 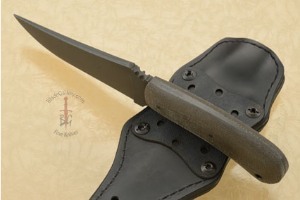 A full tapered tang means great balance. 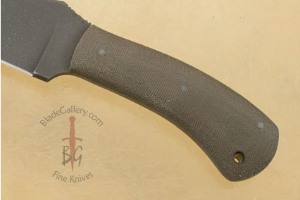 A slip-resistant green toned Micarta handle is set on the full tang.